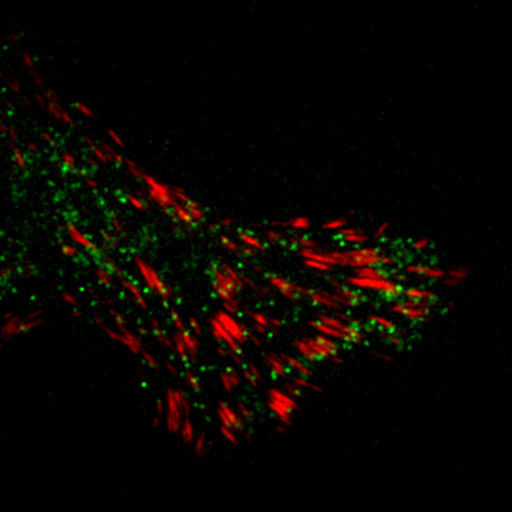 The study of cell migration in wound healing is essential to life science research. The study of how cells communicate and how they respond to various agents introduced into the process is core to understanding the causes and course of infectious disease and allows researchers to use this data in the development of more effective drug therapies. All cells communicate with each other through either chemical or electrical signaling. By understanding how the cells receive and communicate information from surrounding cells, scientists are better able to study the complex processes inside the cells and use this knowledge in a more meaningful way. The membrane of every cell contains receptors that detect information from their environment and transmit that information to the cell, telling it how to respond. Different receptors react to different stimuli, telling the cell to respond to these stimuli in a specific manner. When these receptors are adversely affected by genetic mutation, toxicity, stress, or other factors, the cells’ natural response and defense mechanisms are affected, allowing for the development and advancement of disease. For example, the cells of the body send signals such as proteins and hormones that help the organs inside the body perform a specific function, such as the pancreas sending the hormone insulin into the bloodstream and liver to regulate the levels of fat and sugar stored in their cells for conversion to energy. These cells use what is needed and expel the excess. When this process breaks down, the body is unable to properly metabolize these substances, and illnesses such as type I diabetes are the result. The recent discovery that cells of different species can communicate through chemical stimuli has been revolutionary in the advancement of drug therapy. In the lab, researchers are able to introduce a variety of agents into a cell migration assay and study the effect these substances have on the migration of surrounding cells. It also enables scientists to weed out ineffective therapies and narrow their focus, saving time and money in all phases of the research and development process. This is especially important in the study of aggressive diseases where multiple communication breakdowns have occurred, like cancer, which relies on the replication and invasion of the surrounding cells in order to metastasize. Where cancer cells receive a signal that tells them to multiply, the key to inhibiting the migration and reproduction of cancer cells lies in finding the appropriate chemical signal to halt or reverse this process.